Questions? Need a press kit? Contact us. Opening act for Queers or Bad Religion, Screeching Weasel covered one of their songs, they released a record and played with CJ Ramone: yeah, it’s The Manges! In La Spezia, a small seaside town located in northern Italy, they started to play Ramones-style punk rock in 1993 and they are so dumb that they never stopped. Old school punk rockers, matching striped t-shirts, speed, melodies, fun. The lyrics are inspired by movies and novels; irony, crime, war, rock references. They recorded 4 albums and their discography include many other releases (anthologies, eps, live, splits with Queers, Apers, McRackins, Hard-Ons). In their 24-year career they toured across all Europe, North America and Japan sharing the stage with bands as Bad Religion, Anti-Flag, Marky Ramone, Screeching Weasel, Queers, Riverdales, Mr T Experience.as well as playing a show as CJ Ramone band. In 2007 they played in front of thousands of supporters of the soccer team Atalanta at the annual Festa della Dea in Bergamo (Italy). 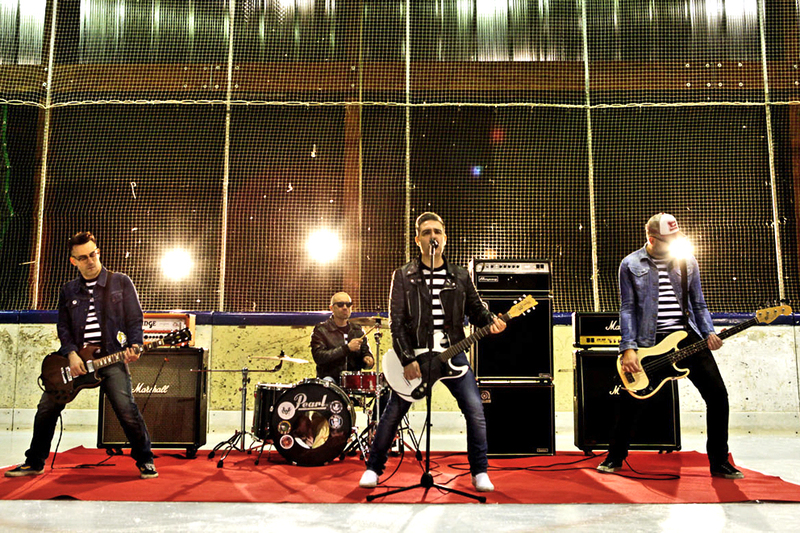 They own the record label Striped Records and manage the Italian festival Punk Rock Raduno. ©2018 The Manges. All rights reserved. Website design by Sgt. Mouse.